Having a good pair of gloves on while you're riding can greatly increase your riding experience. You'll have more grip to the handlebars and more protection from passing brush. 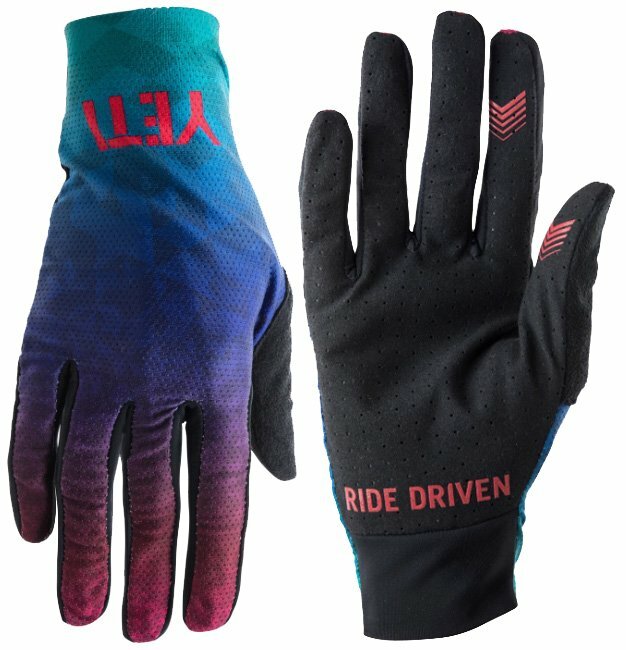 The Yeti WMNS Enduro Gloves Mosaic Fade 2019 are designed for the mountain biker who likes having a lightweight glove that is breathable. They feature an ultra-lightweight, ventilated backhand, cuffless construction, suede thumb backs, silicone gripper on trigger fingers and palm, perforated palms and lycra stretch inset at the cuff. If you're looking for the perfect gloves without the bulk, the Enduro Gloves are the gloves for you.